Village Home Stores works hard to curate a list of as many quality, American-made products as possible for our customers. 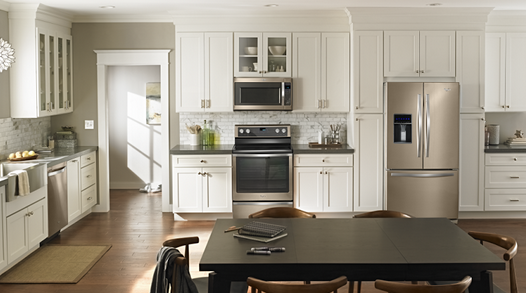 By offering the Whirlpool® family of products, we are able to cover all of the Appliance needs of our customers to fit a variety of budgets and lifestyles. Combining this family of products from Amana, Whirlpool, Maytag, and KitchenAid brands we are providing our customers access to a Local Low Price Guarantee on products from #1 selling major Appliance Manufacturer in the world. American pride is important to the Whirlpool family of products and that is why they have invested in American manufacturing whenever possible. There are now 9 U.S. manufacturing plants as of 2017 and we are so lucky to be located near one of those manufacturing facilities. Because of this, we get the chance to visit a plant about once a year. 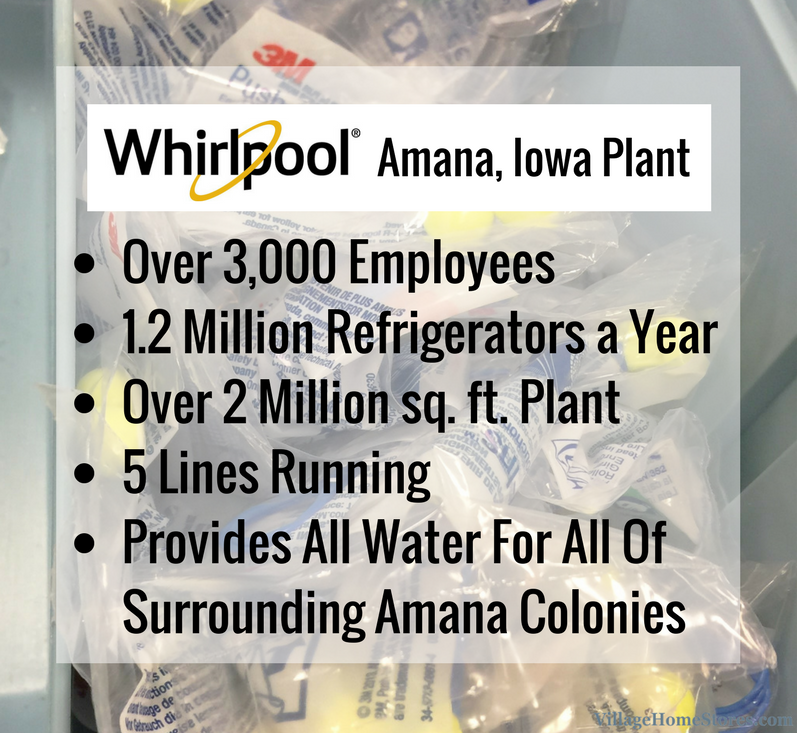 The Whirlpool® plant located in Amana, Iowa manufactures all bottom-mount refrigerators and built-in refrigeration for all brands and it is an impressive place! These compact units were impressive for their size. 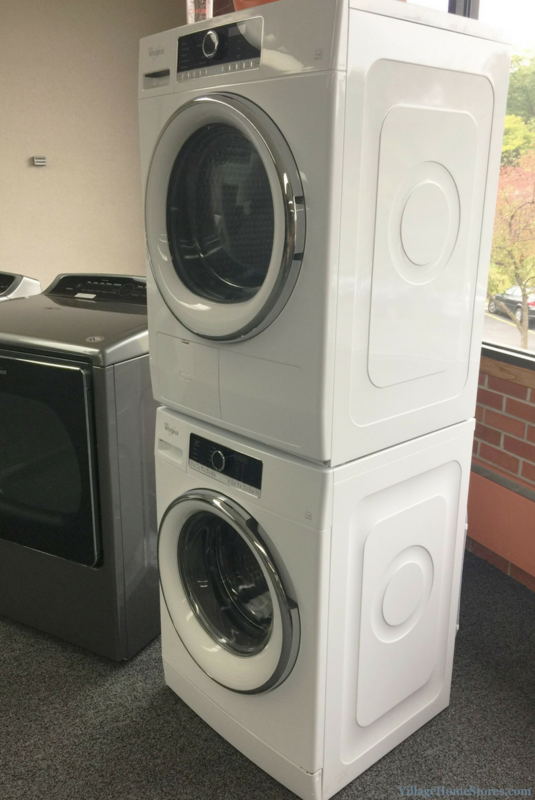 The other new models and features launching in Maytag® and Whirlpool® laundry are more geared to our Village Home Stores customers. Still not convinced your washer has enough water? Now you can add as much as you are comfortable with with the new built-in faucet feature on select models. 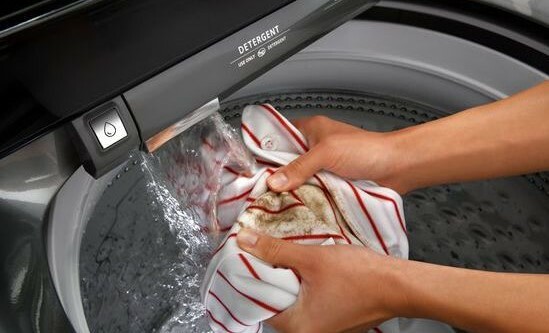 Pre-wash stains right away as you find them. Fill the tub to soak tough stains ahead of a cycle. Just a press of the button gives you running water. Smart technology was also a big topic of conversation during our training. Does your household talk to Alexa, a Google device, or Siri? Then Whirlpool can help simplify many tasks with select Wifi enabled models and the Whirlpool app. Click below to watch (and hear) how voice-activated features are the latest and greatest. 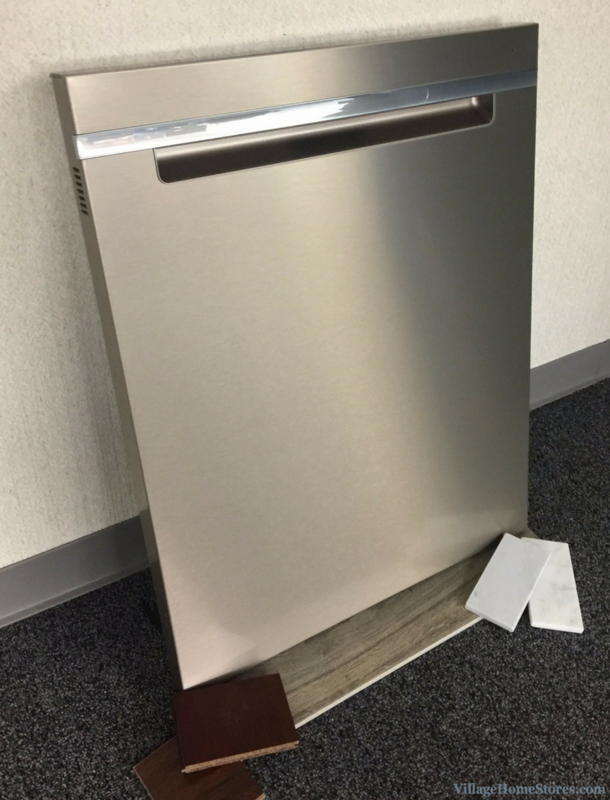 We also saw some great new finishes we can begin to offer for your home appliances! 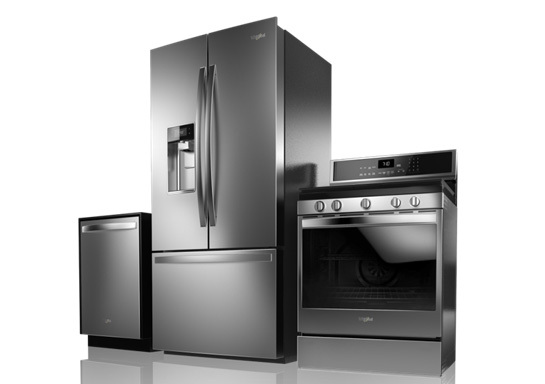 With the success of ® Black Stainless Steel finish, Whirlpool® has launched their own line of models in a Black Stainless Steel. This finish is beautiful and STAYS beautiful! Not only is it a stylish look, its completely fingerprint resistant as well! Wipes clean with just a wet microfiber cloth. The best way to describe it is a “warmer, softer Stainless” look. It takes the coldness and commercial feel of Stainless and softens it to a warmer look. This finish is exactly on-trend for what we have already began seeing in other kitchen design finishes throughout the industry. Lighting, hardware, accessories, flooring and tile, all are going the way of a warmer gray and golden accents. We are always excited to hear about the latest and greatest available for our customers. It is also always very reassuring to tour the factory and see that the quality, legacy, and innovation that we have seen from this family of product is still going stronger than ever. 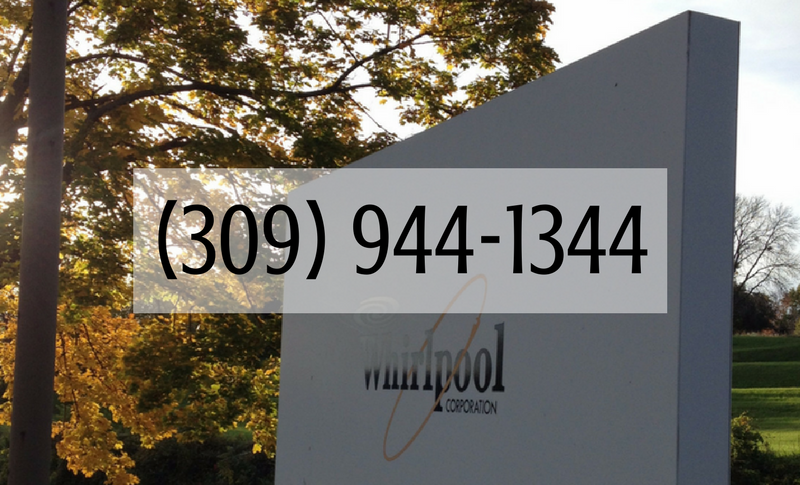 Our expert team of Appliance sales and service staff is just a phone call or a visit away. 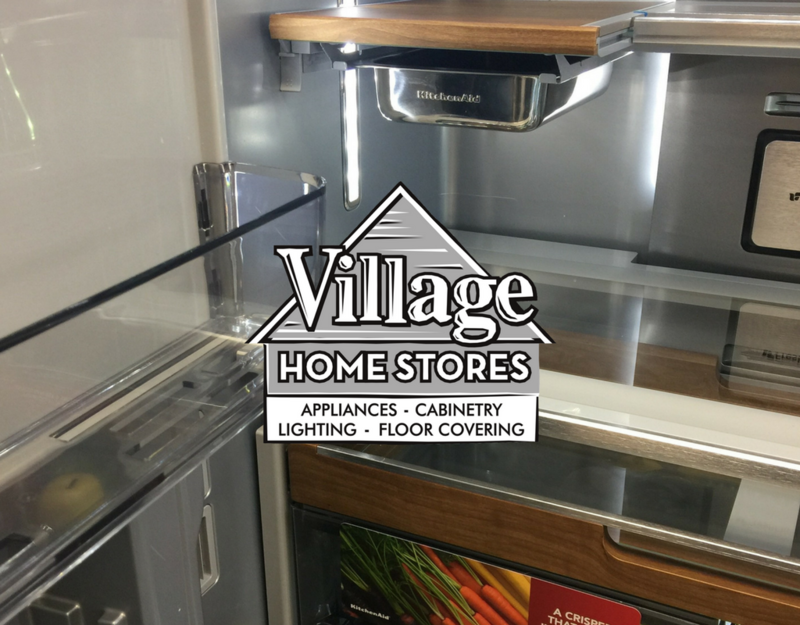 Stop in and see why we are your award-winning regional Appliance experts. Showroom located at 105 S State Geneseo, IL 61254 phone number: (309) 944-1344 shop online anytime here on our site.